Anastacia White has been a practitioner, teacher and consultant of Chinese herbal medicine since 1984. Ms. White conducts seminars throughout the United States and lectures internationally on Chinese herbs and medical theory. She has specialized her educational offerings for those acupuncture practitioners wishing to incorporate herbal formulae into practice. Ms. White has had the good fortune to have studied with Chinese herbalists and authors revered for bringing Oriental medical methodologies and philosophies to the west including: Subhuti Dharmananda, Ph.D., Ted Kaptchuk, OMD, and Giovanni Maciocia, Medical Acupuncturist. Over the earlier years, Anastacia blended her background in Chinese Medicine with studies in meditation, yoga, astrology, movement and ritual to create workshops and private consultations that are rich, informative and immediately useful. Ms. White is known for her ability to present obscure Chinese medical paradigms in a concise and accessible manner. Her teaching style allows the information to become available in a practical manner that is easily comprehended by workshop attendees. 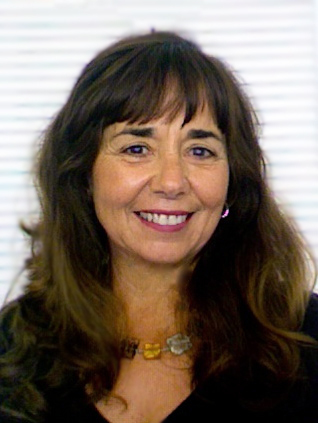 Anastacia has for many years trained physicians of the American Academy of Medical Acupuncture and comes highly recommended by Academy board members. While Anastacia is adept at presenting complicated Oriental medical concepts, her down to earth approach makes these teachings accessible to interested nonprofessionals. Her seminars and workshops, in addition to being greatly informative, are also deeply inspiring and wonderfully relaxed. Having obtained a deep understanding of Classical Chinese medicine and modern TCM she is seen as one of the western Matiarchs of Chinese medical arts. She brings a positive atmosphere to her lectures through 30 years of observations on the nature of qi in macrocosms and mircocosoms. Skillfully weaving the Taoist theory of 5 Phases and 5 Spirits, with the TCM approach of hunting and treating pathologies her seminars and lectures bring both theory and method together that allows attendess to glean practical knowledge. Her earliest teachings were on herbs, she continues her deep relationship with the earth and plant medicines in all aspects of teaching and practicice.